Summer has well and truly arrived in England. Explore bespoke summer suits and shirts by Henry Herbert in linen, lightweight cotton, and seersucker, all ideal for summer events, holiday wear and work-wear. Linen is an excellent choice for staying cool whilst looking sharp in the warmer months. 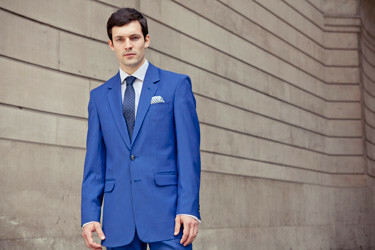 A common concern is that linen can crease easily – as long as you look after the linen jacket, it will look after you. Our experienced tailors will advise you on linen care best practices. Below an example of a navy blue linen sports jacket by Henry Herbert. Seersucker is another excellent lightweight option. The gentleman on the left is sporting a very summer-suitable ochre striped seersucker trouser, by Henry Herbert Tailors, and a bespoke shirt in pale pink Egyptian cotton, which wears extremely comfortably on the skin, especially in hot weather. 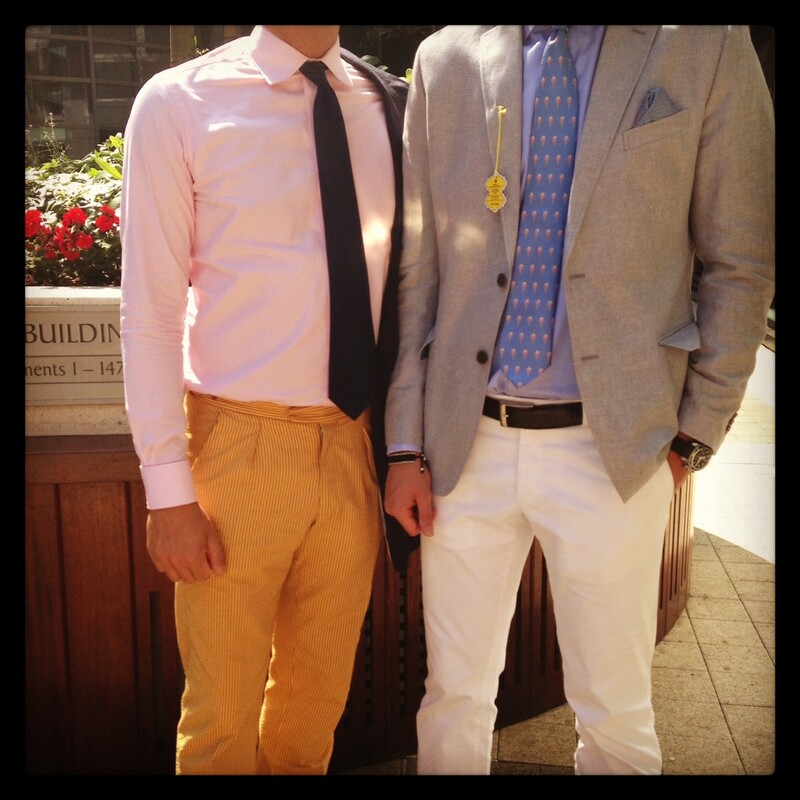 Summer is an excellent time to choose bolder colours even for workwear. A subtle way to brighten your wardrobe is to select a lighter or more intense shade of blue, such as the gentleman below. 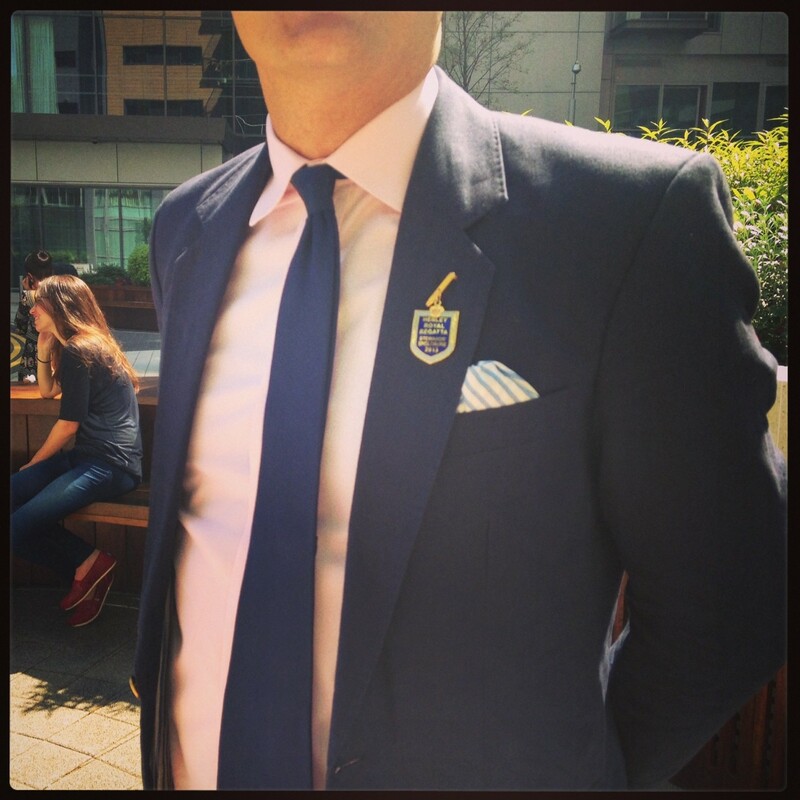 A double-breasted style looks sharp, whilst keeping its wearer cool at the office. 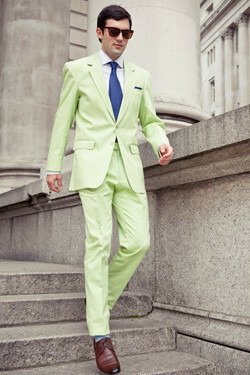 For a true injection of colour, may we recommend the Henry Herbert colours range of bespoke summer suits. 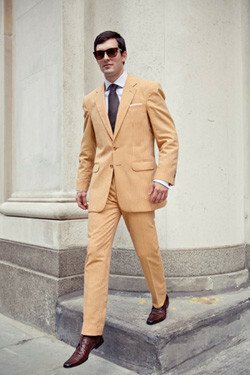 Watch our bespoke summer suits video for more. 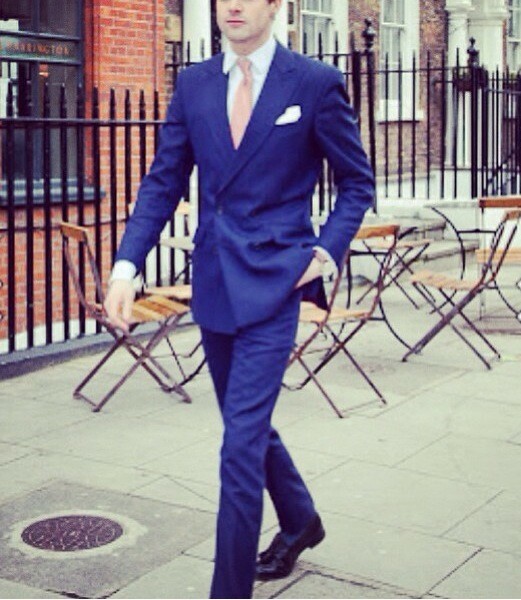 Great British Bespoke Summer Suits: Hot Weather Style by Henry Herbert - Bespoke Suits By Savile Row Tailors. Heatwaves call for cool styling. 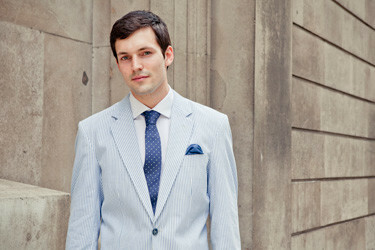 Explore bespoke summer suits and shirts by Henry Herbert tailors in linen, lightweight cotton, and seersucker. Perfect for summer weddings, holidays and workwear.